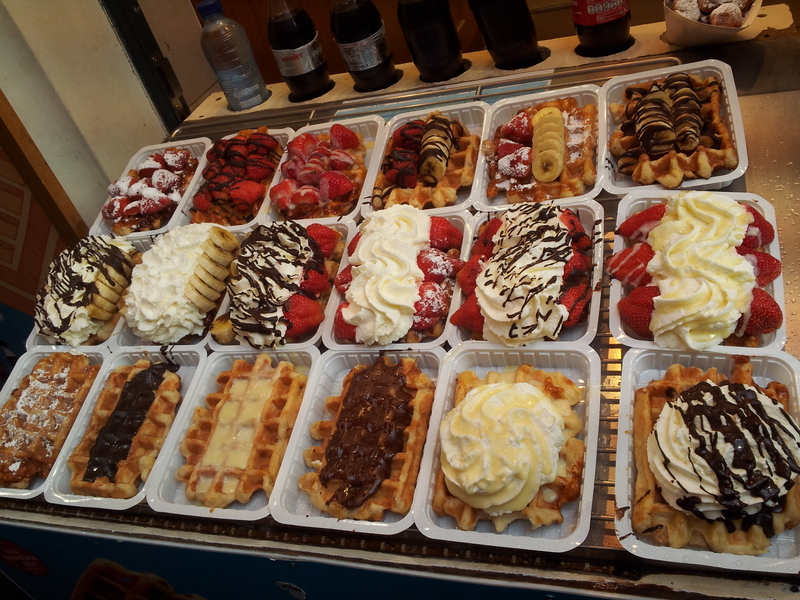 Belgian waffles are popular all over the world, but until you have tasted a real BELGIAN waffle, you have no idea how delicious they can be. There is something special about the waffles here that sets them above the rest. Maybe they add sugar to the waffle iron before it is filled with batter? I am not quite sure what their magic entails, all I know is that they are perfectly sweet and crispy on the outside and moist and mouth-watering on the inside – incredibly good! Even without any topping at all, they are sweet enough to satisfy any sweet-tooth – yet with over a dozen tasty toppings to choose from, how can anyone not try one?! From chocolate or speculoos to strawberries and cream, these waffles are sure to satify every tastebud. 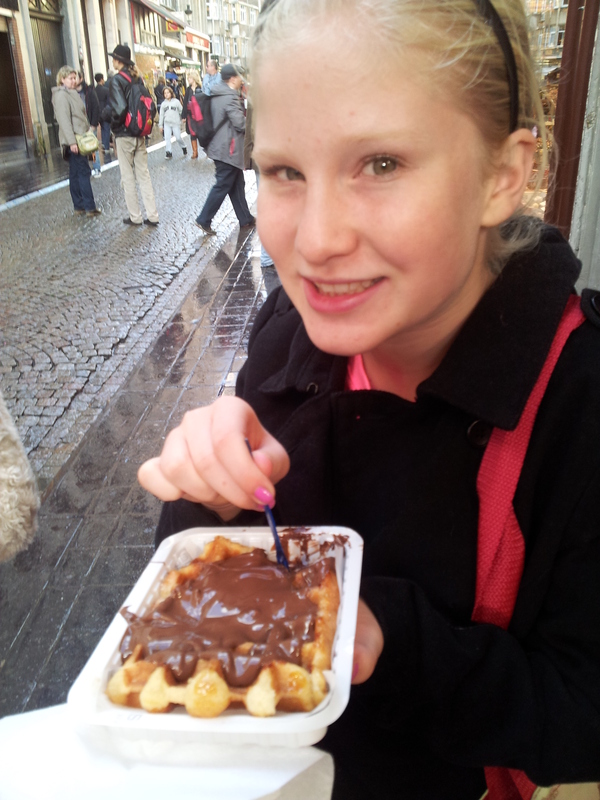 I am almost embarrassed to admit this, but the main reason that we stopped in Brussels for 3 days on our way from Paris to Amsterdam is so that the kids could taste a real Belgian waffle! I know, I am a bit obsessed with sweets…but hey, what can I say, some things we just can’t live without. 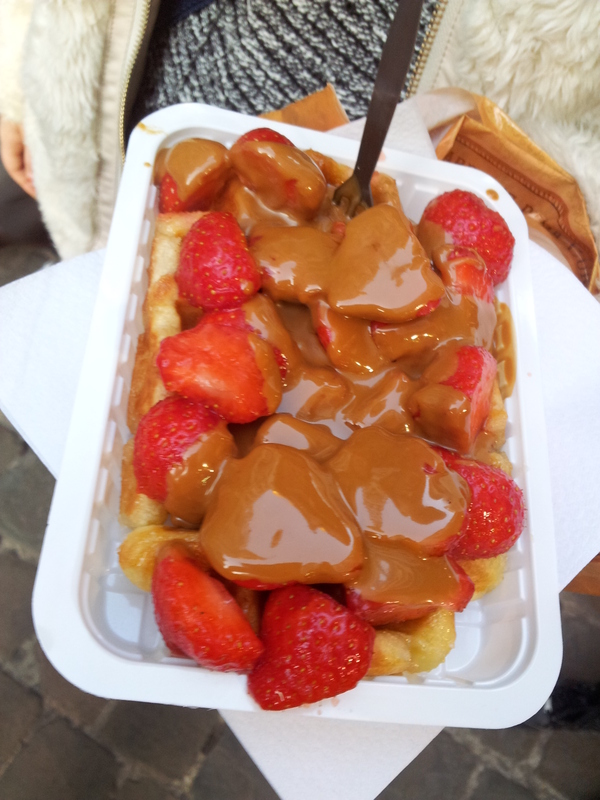 If you do go to Brussels, make sure to check that the waffles are made to order. We noticed that some waffle shops had a stack of pre-made waffles and they would reheat them as needed. These are not as fresh and don’t have the same crispy to moist ratio that is needed for the ultimate waffle experience.